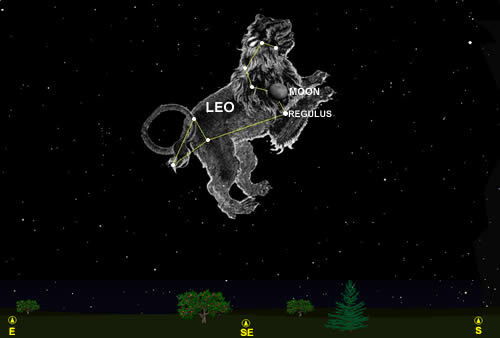 Leo is the most important fire sign of the Zodiac. From Leo comes solar fire,the fire we associate with soul consciousness,the fire of the higher mind. We, the self-conscious Sons and Daughters of Mind are above everything else the Children of Fire, for our God is a consuming fire.The nature of fire is purification. In the present time we are asked to be Fire walkers, to ‘walk on fire‘ and purify our lower mind,the soul consciousness.During the last century humanity as a whole has entered into purification by fire. The World War and the release of the atom ,atomic energy, demonstrated on the physical plane the transformation occurring on the inner planes. The life within the atom was released, made available to enliven a form responsive to the spiritual plan and purpose in present time. As above,so below. The age of Materialism inaugurated eons ago is now giving way to the New Age, the Age of Spiritualism. We now follow our planned course which was laid out eons ago. Just look to the stars- and glimpse into the Heavens. In my upcoming Novel- Mysteries of the Red Coyote Inn by Unforgettable Books,Inc. we will find how a young teen finds a hidden message just for him that will lead him to discover a long time legend that will change his destiny.